Januari is a funny month isn't it, with the Christmas stuff cleaned away and the new year ahead off us I always feel like making new plans for the home. I am curious to see where brands are coming with in the upcoming months, will you follow some of the trends or like me, just keep doing what you love most? I am still into a darker pallet, I just love white walls and dark accents, like I have been showing on the blog over the last weeks. 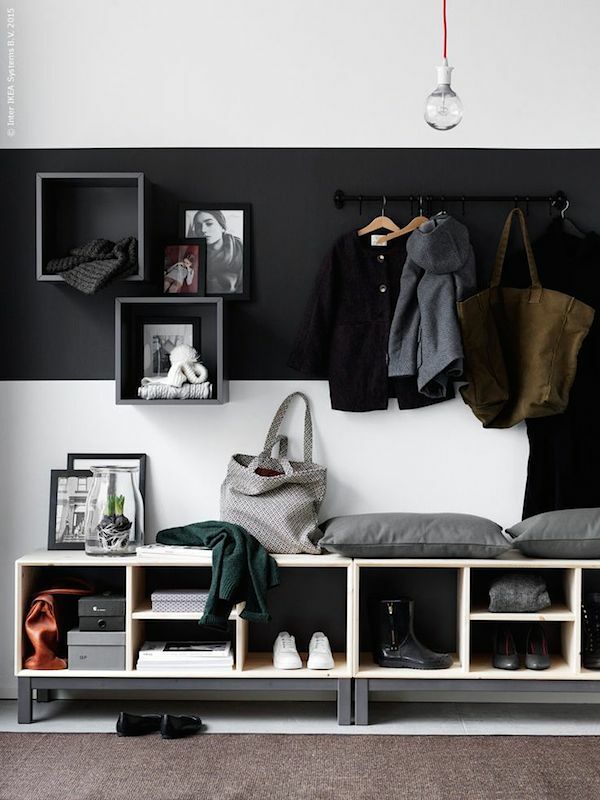 This hallway idea I found on IKEA livet Hemma and it shows pretty perfect how you can add a strong black accent to your hallway without painting it all black. 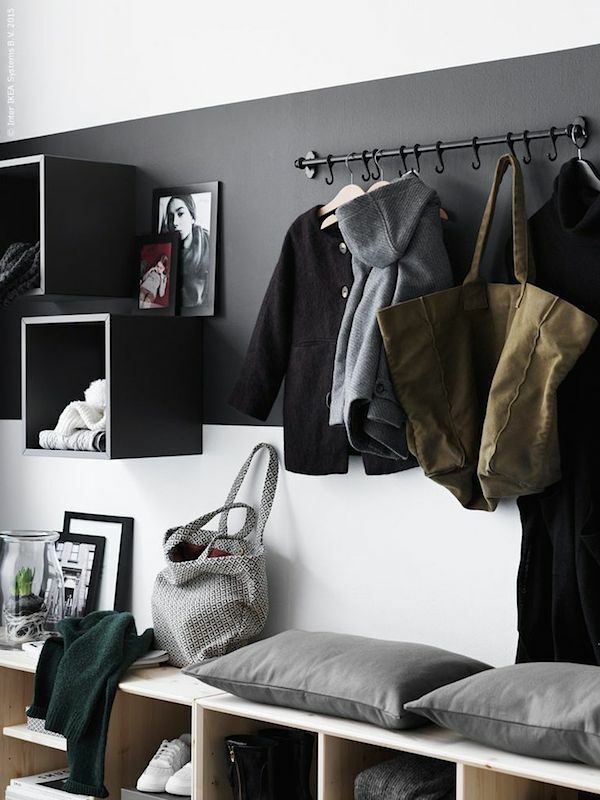 I love the dark on dark effect with the storage units, I used some similar in white here. The use of a black line in the hallway is not new to me, I had to dig in my blog archives to find my old post with pictures from my hallway where I painted a black line and used it as a backdrop for pictures, see this old post here Blackboards taken when my home still had all the doorposts and before breaking away some walls.